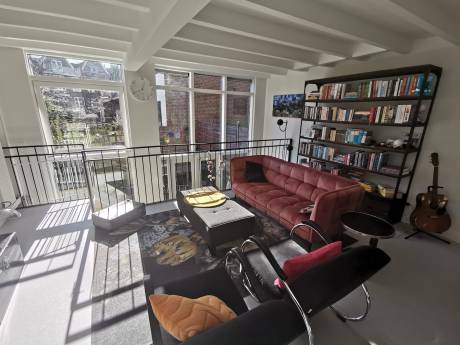 Charming 20ies apartment; coloredglass windows and tall sliding doors.. Known as 'the nicest street of The Hague' with antique shops, cute lunchrooms, the bio-market around the corner every week, art-galleries, the most yoga schools, right next to the center and 10 min drive to the beach, near woods, city center bars and shops. A simple, yet super charming 'Marie-Antoinette'-inspired interior . A 60m2 apartment with lots of windows letting in the light the entire day, on the corner on the first floor on magic housenumber 111. For antiques and vintage this is THE street to be in!